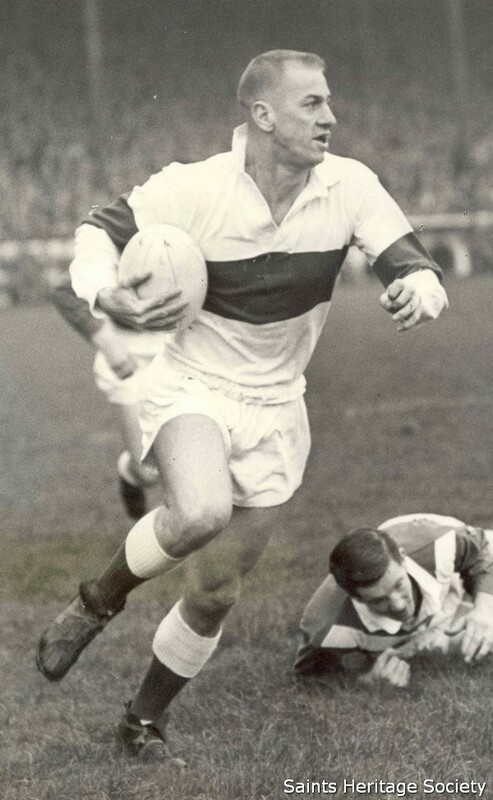 Tommy Vol was truly a phenomenon, with 392 tries in 408 appearances. 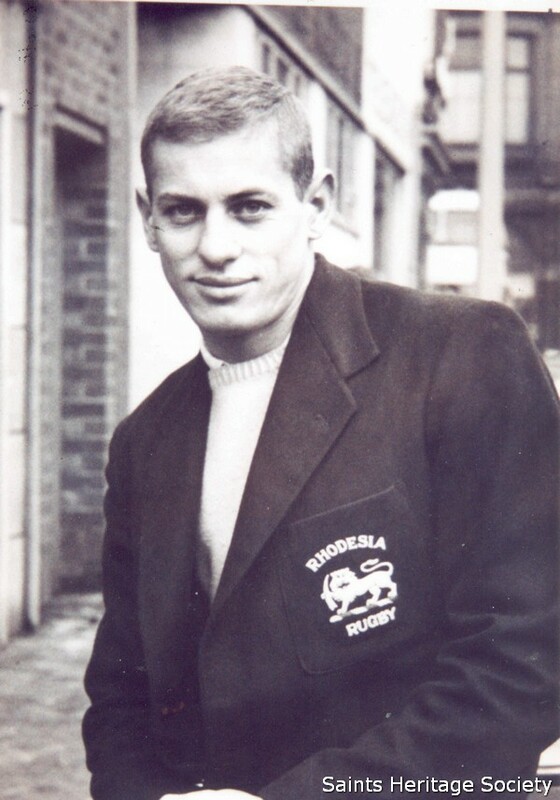 He was the hottest winger in Rugby Union in the mid fifties following his thrilling performances for the Springboks against the touring British Lions. His signing was a top-secret affair from under the noses of the Rugby Union authorities and under intense competition from Wigan. No supporter could have really foreseen what an effect this fellow would have on the team and the town! A blond, crew-cutted figure who possessed terrific pace, evasive skills and athletic ability, he was also extremely strong for his size. He could conjure up tries from the most unlikely scenarios, tip-toeing down the touchline and finishing with aplomb. Tom was also a superb defensive wingman, rushing over to the other flank to pull off many a try-saving tackle. Within weeks of his arrival he had become an instant hero, home and away fans piling through the turnstiles to witness his speed and finesse. Those who witnessed his incredible three-try performance against Hunslet in the 1959 Championship Final at Odsal could scarcely believe what they were seeing. Tom notched up his hat-trick despite the pain of a torn hamstring. 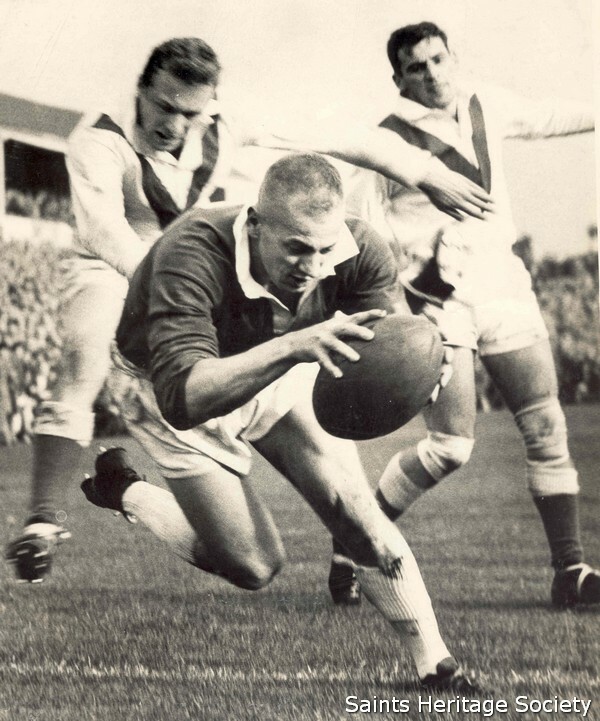 His most famous touchdown involved superb interplay with another fine threequarter, Ken Large, at Wembley in the 1961 Challenge Cup Final against Wigan. He played in two Wembley finals, both against the Old Enemy, with Saints lifting the coveted trophy each time. In addition Voll collected every club honour with medals for Championship, Lancashire Cup and Lancashire League successes. Back in 1957, the `Vollenhoven Effect` was immediate, with Tom scoring on his He was the obvious choice to front the club`s Centenary celebrations in 1990 and spent almost three hours the day before signing up to five hundred autographs at the Saints` Exhibition at the Museum. Fans queued around the block to meet him. You were left in no doubt, some twenty two years after he had last put on a Saints` jersey, what he will always mean to the people of St. Helens - a genuine superstar!